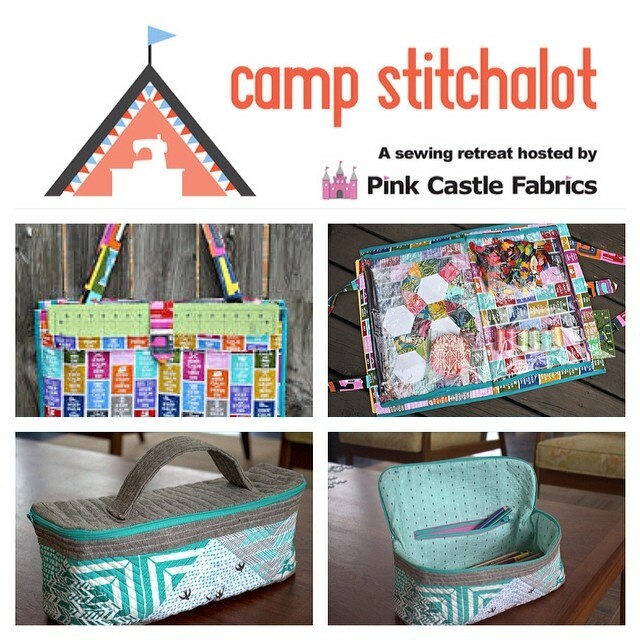 Pink Castle Blog: Camp Stitchalot Spring! Camp Stitchalot is just around the corner! There are still tickets available for Camp Stitchalot Spring! It is being held in lovely Pleasant Lake, Michigan the weekend of March 21-23, 2014. There is additional sewing time available on Thursday, if you buy a Thursday night ticket. Camp is held at the Hankerd Inn, a bed and breakfast run by a quilter! So, there's lots of sewing space. The owner is very accommodating of special diets, and we have a kitchen that we can access at all hours. The bedrooms are large and comfortable, and most have a private bathroom with shower. There is also lots of space to sit and chat! This one is very exciting! It's all about bags! You use them, you make them, you love to put stuff in them. Now come and make bags with bag making experts Sara Lawson of Sew Sweetness and Kristin Link of Sew Mama Sew. Sara Lawson is a bag maker, quilter, pattern writer, and blogger who has just published her first book, Big-City Bags: Sew Handbags with Style, Sass, and Sophistication. She is working on a second book, and is the seamstress behind many amazing quilt themed dresses. 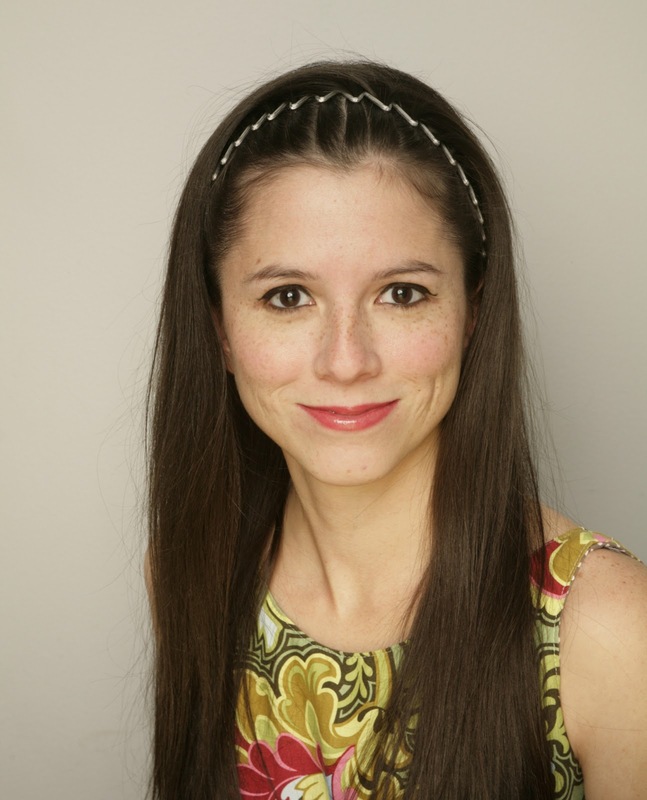 Kristin Link is a former educator who has adapted her love of teaching and training to focus on the wonderful world of sewing. Her favorite things to sew are bags, clothes and gifts for family and friends. 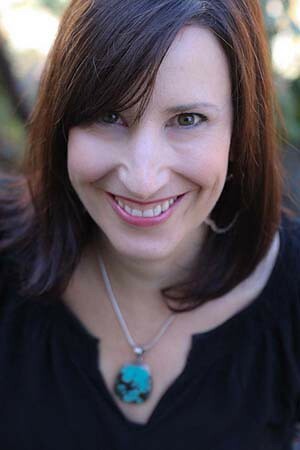 She is the founder and owner of the online collaborative sewing community Sew Mama Sew. She teaches classes through Craftsy called Bag Making Basics. Sara Lawson will be talking about interfacing, sewing with vinyl, installing magnetic clasps and zippers, and bias tape, all while making the Camp Stitchalot bag! You don't need to be an expert to make this bag, and with help, any confident beginner can make this bag. 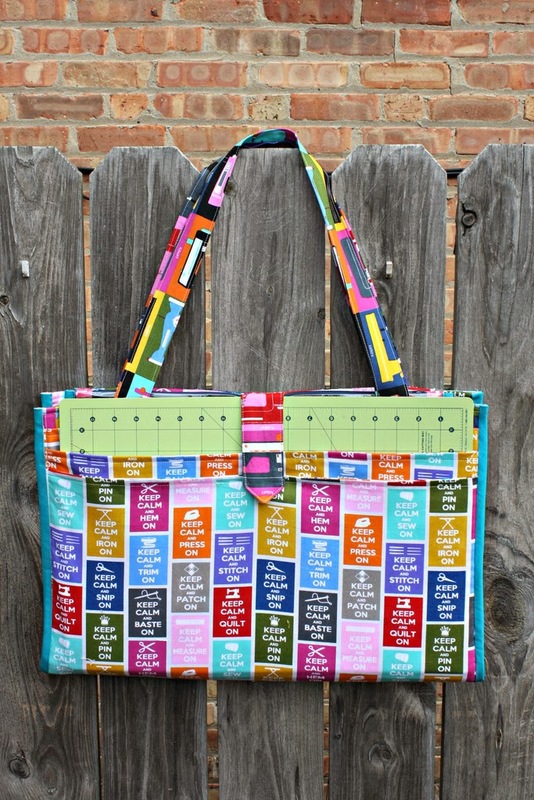 It's a large bag for toting your crafting supplies in - with an outer pocket that will fit a 12x18" cutting mat! Kristin Link will be teaching us her new, designed specifically for this camp, Tackle Bag! Not only is it versatile, but you will learn several techniques for installing a zipper, including making a welt pocket on the inside. Tickets are limited to 30 people, so order yours today! We hope you can make it to Camp Stitchalot next month! 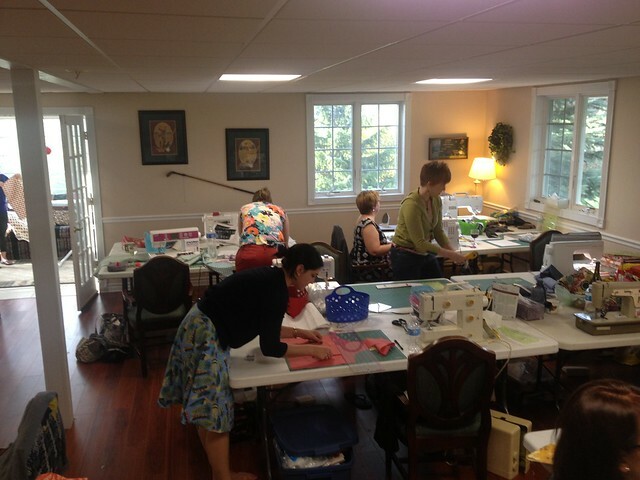 We have sewing machines you can rent, and Accuquilt Go cutters will be available for use during the retreat. We also have tickets available for Camp Stitchalot Fall and Camp Stitchalot Winter.